The Tay is notorious for ghillies who allow spin fishers down through their pools before or sometimes even in front of a dedicated salmon fly fisher. 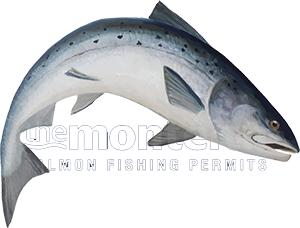 There are arguments as to whether or not that truly matters to salmon but one thing for certain is it matters in the mind of most fly fishers. There's no better more effective way to ensure a fly fisher doesn't return to a beat than to let his water be spun through before he fishes it. I hear the excuses now but really if a beat is to be run 'properly & effectively' then this should always be a consideration by the Head Ghillie to ensure the client experience is optimised fully for the chance of a return booking. You don't need to be Albert Einstein to realise that fly water and spinning water are 2 completely different things so there's never a need for 'cross over' outwith big dirty water conditions. The easy 'half way' house for those ghillies who have a mental block on this is to only allow spin fishing in the afternoon if pool segregation doesn't sit well. This way no fly fisher is going onto water in the afternoon that's been straifed that morning with spinners. Personally I believe through personal fishing results & observations that if a salmon sees too much of anything it diminishes the chances of cooperation and there's nothing subtle about a 30 gram Toby 'Salmo' as it 'Kodaks' over their heads. The two salmon beats on the middle Tay where there's consideration for the fly fisher during normal water conditions are on the lovely Lower Kinnaird beat & the Dunkeld House beat. These 2 popular Tay salmon fishing venues both have professional ghillies who were tuned into this way of doing things by 'yours truly' as both worked with me for many years in previous river lives. I once took a Tay beat from £15k to £86k turnover in 36 months without a website by implementing sensible fishery management policies like this. Don't misundertsand what I'm saying here as I love also to have a go for salmon with a spinning rod from time to time in certain water conditions but from what I've seen over 40 years on the Tay is that great fun can be had with a spinning rod on any Tay beat at any time of the year without interfering with the fly fishing water and in many cases with more success and less lure 'fatalities'. If you're a ghillie on the Tay consider this point and put yourself in the waders of a fly fisher who's head is down as he walks onto a pool knowing it's already been heavily spun through.